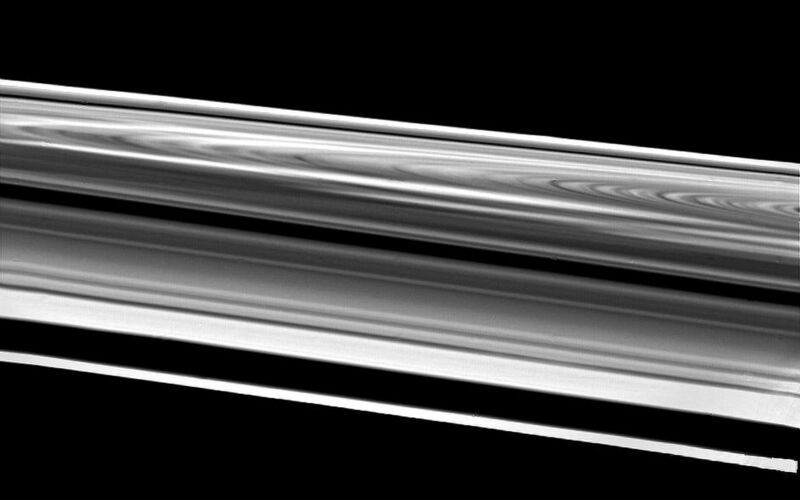 This wide-angle image of Saturn's rings was taken Aug. 26 just before Voyager 2's crossing of the plane of these complex structures. The spacecraft was 103,000 kilometers (64,000 miles) from the rings when it acquired this image. 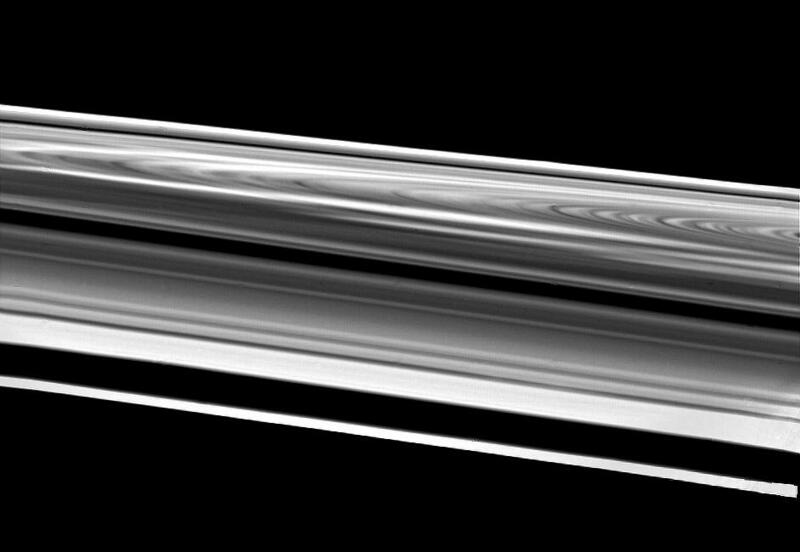 This extremely oblique view of the bright side of the rings highly magnifies features near the bottom of the picture and compresses features across to the other side of the west ansa (the western edge of the loop in the rings). Starting from the bottom, one can see the F-ring, the A-ring with the Encke Gap, the Cassini Division (the narrow dark band at center), the B-ring and the C-ring. 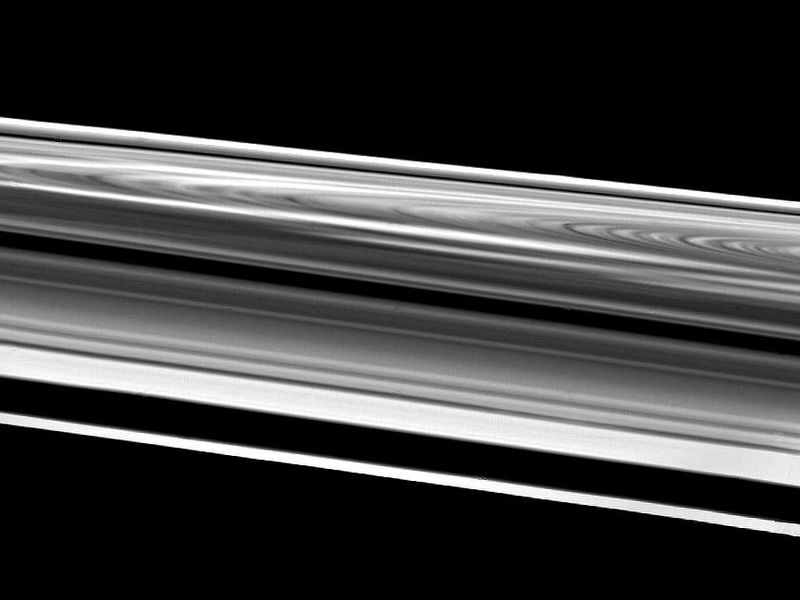 The high-contrast bright and dark areas of the C-ring are seen at right; then, continuing upward, come the B- and A-rings straddling the Cassini Division and a very foreshortened view of the A-ring. 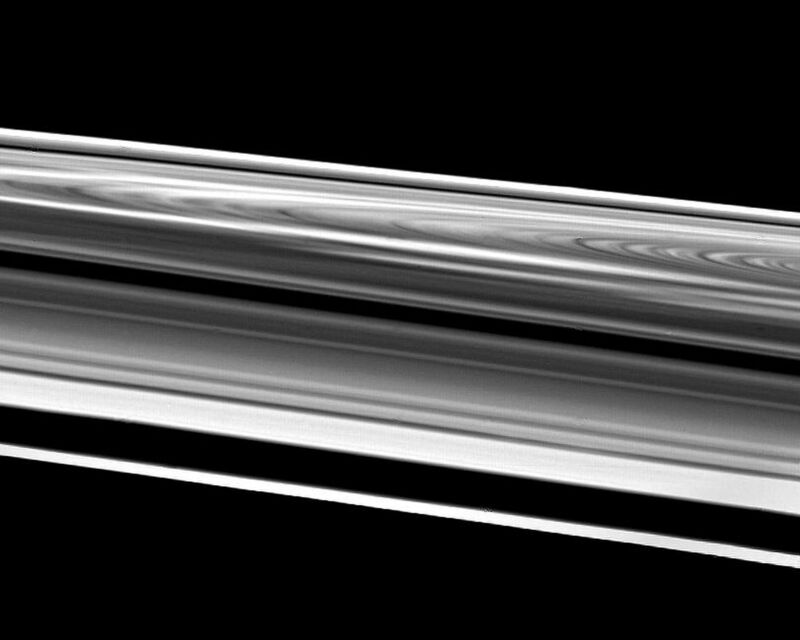 The bright streaks in the B-ring are the spokes in forward-scattered light. The Voyager project is managed for NASA by the Jet Propulsion Laboratory, Pasadena, Calif.